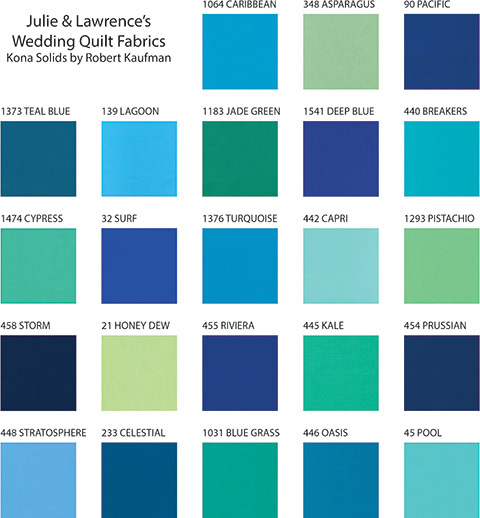 You are invited to make a block for our wedding quilt. Lawrence & I made the first two blocks. 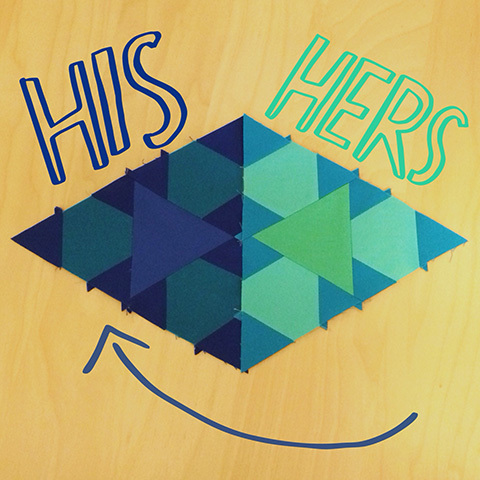 About our wedding quilt: A huppah is the canopy a Jewish couple stands under during the wedding ceremony. 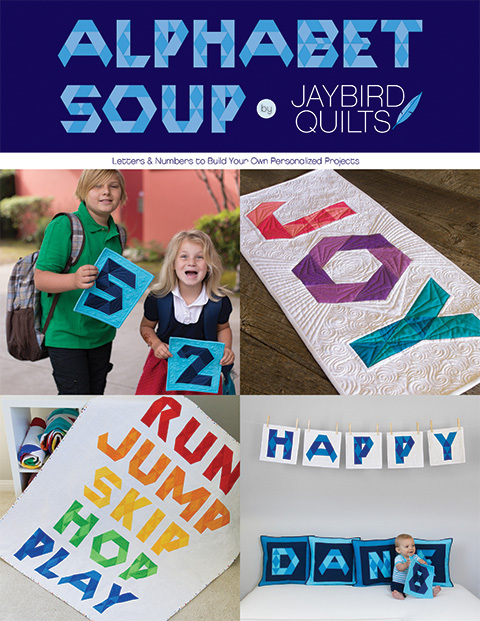 It can be a sheet, a family heirloom tapestry, or a quilt! It is held up by four poles and it symbolizes the home that we will build together. 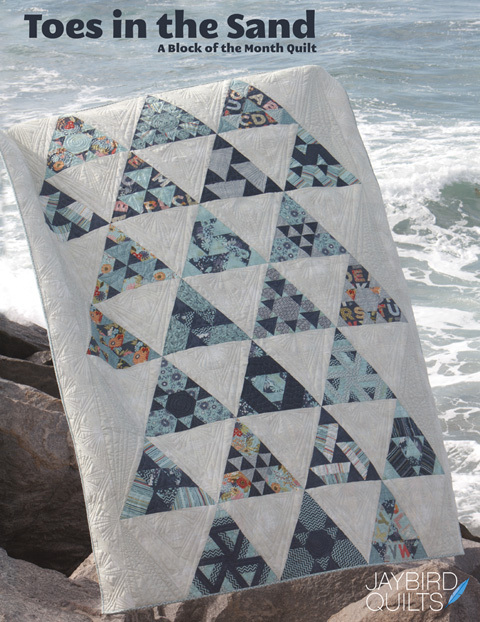 I am going to make a quilt for our huppah, naturally. It is going to be large and I need 222 small triangle blocks to make it. That's where you come in. 2. Piece your block using any technique. Please avoid adding embellishments or appliqué. 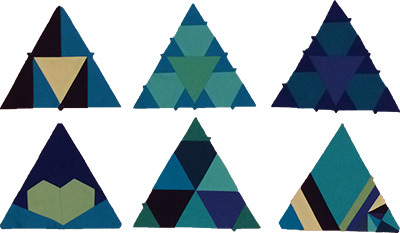 You can use my HexNMore, Sidekick or Mini HexNMore to create a triangle as shown in these blocks. You can create a block with improv techniques using straight lines or curves. 3. Use any mix of the 20+ Kona Solids shown in the image below. 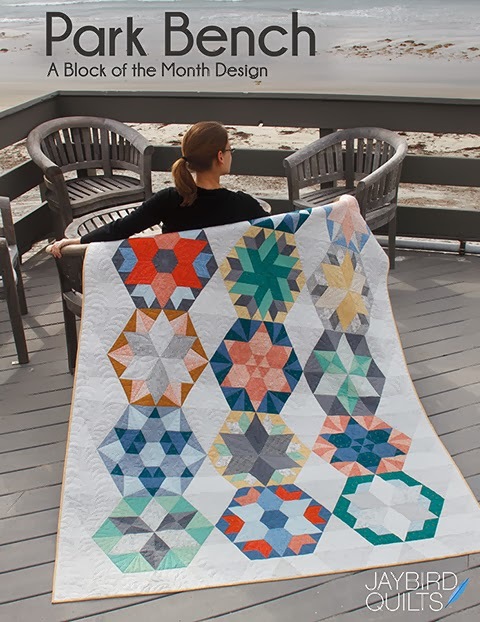 Please do not add any print fabrics or other solids to your block. We want the quilt to have a uniform look. 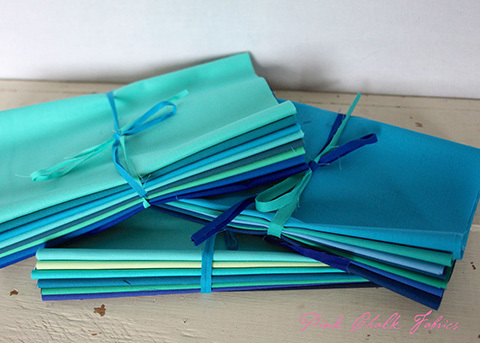 Our friends over at Pink Chalk Fabrics have graciously agreed to help out all of the sewists who want to participate and don't have the colors on hand to whip up a block. 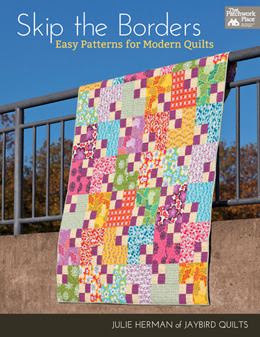 You can find a small, coordinating fabric bundle from the Kona palate we're using in their shop. 4. Sign the back of the block in the seam allowance with your first + last name + the date you made it. Here are our signatures on the back of the first blocks. This is the "plan" for the quilt. In the center I'm going to make a medallion. It will be surrounded by a ring of 54 blocks. The final ring then contains 168 blocks. Details 1. Make a triangular block that finishes at 6" tall. (template link here) 2. Piece using any technique. (Please avoid adding embellishments or appliqué.) 3. Use any mix of the 20+ Kona Solids listed above. 4. 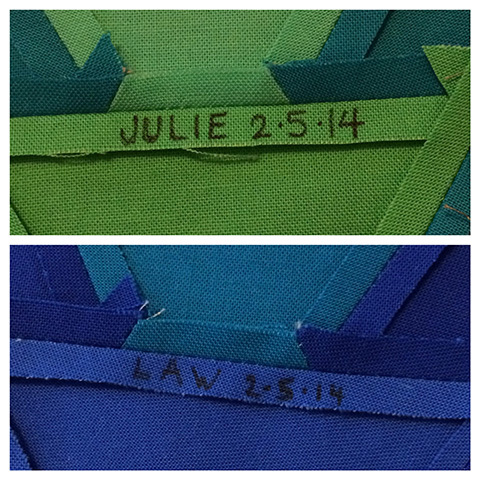 Sign the back of the block in the seam allowance (first name + last name + date made) & share a photo of it online with #lawlovesjulie. 5. Mail the block to me by April 30th. We can't wait to see what you will make! Thank you so much for being a part of our celebration! ok. I'm not so great at triangles, but I would love to be a part of this. So I'll make one (or two) and send it along. You can use or toss at your discretion! We went with Swoons. Good luck, and I hope it comes together in time for your big day! Such a great idea! I am happy to help out ~ expect some blocks in your box soon! This is such a great idea - I love your plan and the colours you chose. I am totally IN! 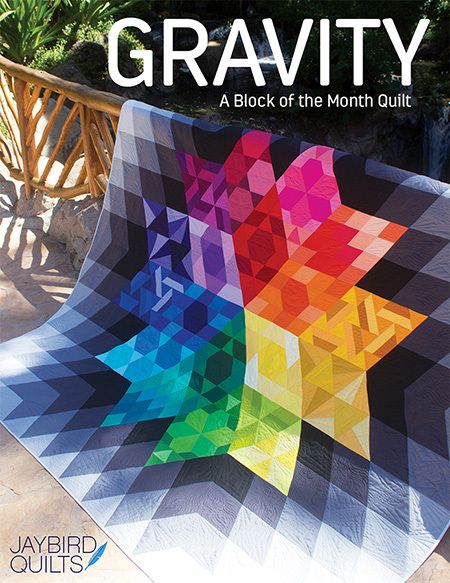 Is it preferable for each person to just make one, or do you anticipate needing lots of blocks? Kind of hard to tell at this point, I imagine! 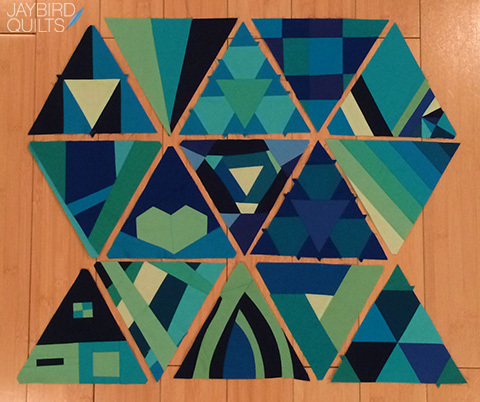 Thanks for sharing - this quilt is going to be great!! This is such a wonderful idea, I love it. 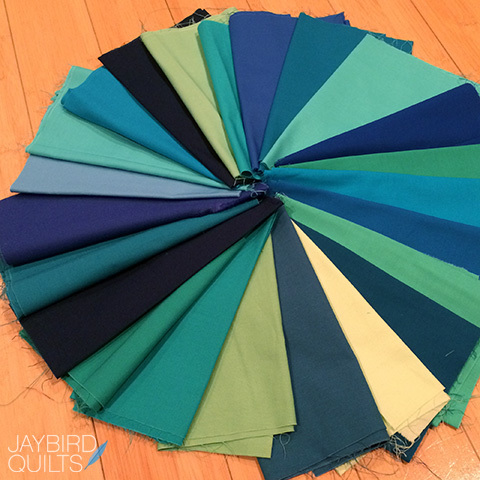 I'm in, just ordered a fabric bundle. Gorgeous idea! Just ordered my bundle! 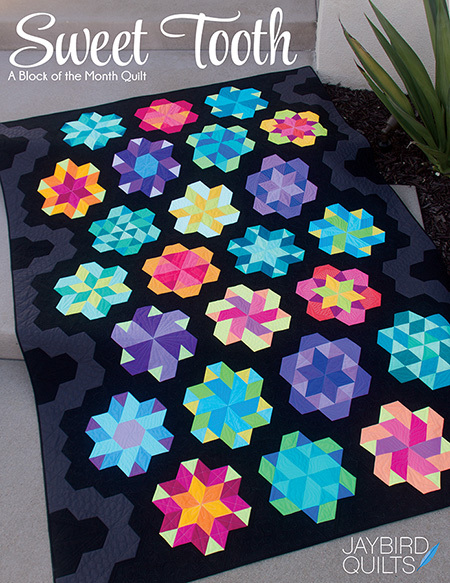 I'd be thrilled to make a block and be part of your wedding quilt!! You are going to get Alot of blocks. Just sayin in case you don't realize this. Looking forward to hearing about it! Wow, what a great idea. The finished quilt is going to be amazing. Much happiness to you and Lawrence. Although I am bummed over the no applique, I believe I could manage something. Best wishes! I love this! And I'd love to be a part of it, too! This is a lovely idea. I even have some of those colors on hand. What a fun thing to do. Planning for an wedding is a lot of work. I'm glad to make a block to help out. I ordered my fabric today and it's already shipped (so cool). This is what makes quilting fun and adds so much meaning to a quilt. I think this is a lovely idea! Are you worried that you'll end up with way more blocks than you need? What an amazing idea - it will be fun to see it all come together! How sweet of you to ask us to be a part of your special day...I'm in! I can't belive the difference in my printer and the colors at the store. I made a special trip to Jo's yesterday to find a couple of pieces of Kona, and I'm so glad the names were there. Nothing matched the swatch card I printed out by tone. But I've got the names rightly matched, now I have to decide on a pretty pattern. I can't wait to get started on this project at our next sewing day wednesday! 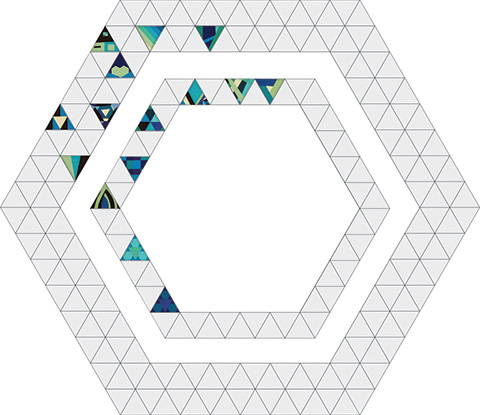 Is the final quilt going to be hexagon-shaped liked your diagram? If so, will you be holding it up with 6 poles instead of 4? I'm so intrigued! I believe they have taken you work illegally. How many do you have so far? How exciting! I see your deadline is past. Do you still need more triangles? I just put mine in the mail today, so sorry it's coming to you late.